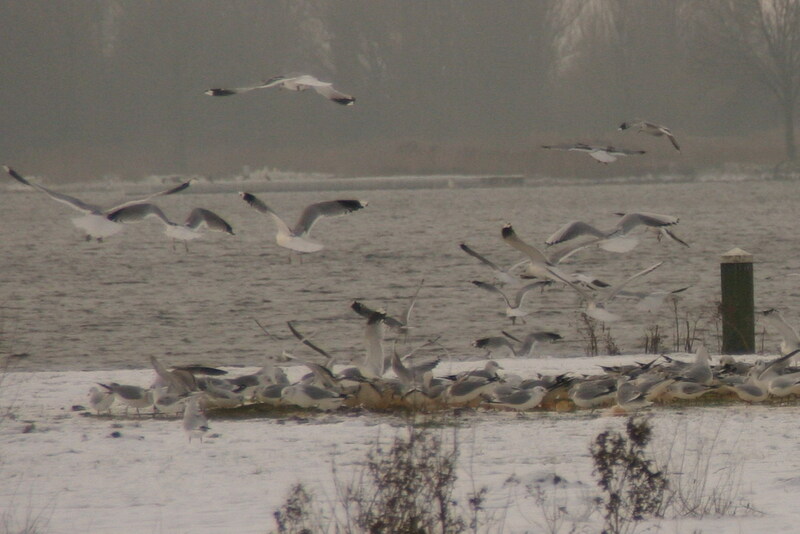 In 2003 colour ringing research was started towards the wintering stormmeeuwen in The Netherlands. 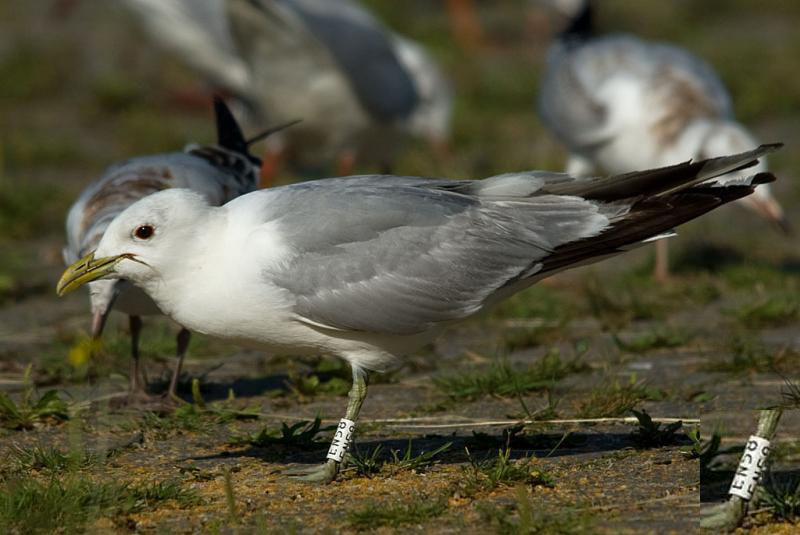 This research is in parallel to the colour ringing research in Black-headed Gulls. And is especially meant to study a possible interaction between both species. Only the Common Gull is not caught according to a preconceived plan. The available number is predominantly dictated by the severity of winter. 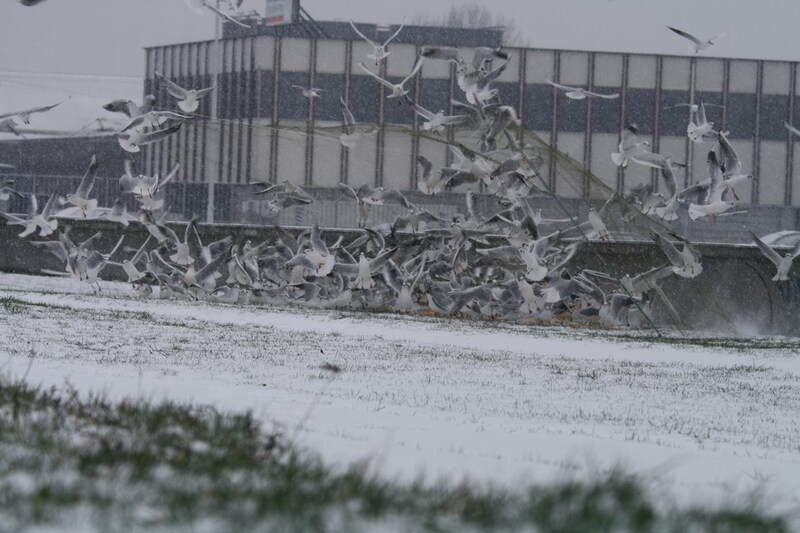 With mild winter weather the Common Gulls are in the fields and not in the city. The number of readings from colour ringed Common Gulls is very low as compared to the Black-headed Gull. Both in the research area (Dutch cities) as well as in the breeding areas. Common Gull number 1,000 for the winter 2009/2010 was colour ringed at the Oostersluis, Groningen! Not knowing that many would follow in that winter. Many Common Gulls were colour ringed in December 2010. The year 2010 was ended with a total of 2,739 newly colour ringed Common Gulls. With all these new birds added, now almost 3,800 Common Gulls have been colour ringed up to now! This is a nice sample for my research aimed at site fidelity and survival of Common Gulls overwintering in the Netherlands. That Common Gulls show less site fidelity compared to Black headed Gulls is perfectly clear. In December 2010 there were still recaptures from in previous winters colour ringed Common Gulls from Germany, Poland and Denmark. Subsequently there were more and more recaptures from The Netherlands and later even from England and Belgium. This indicates that the gulls (similar to previous winter) have been moving around a lot. 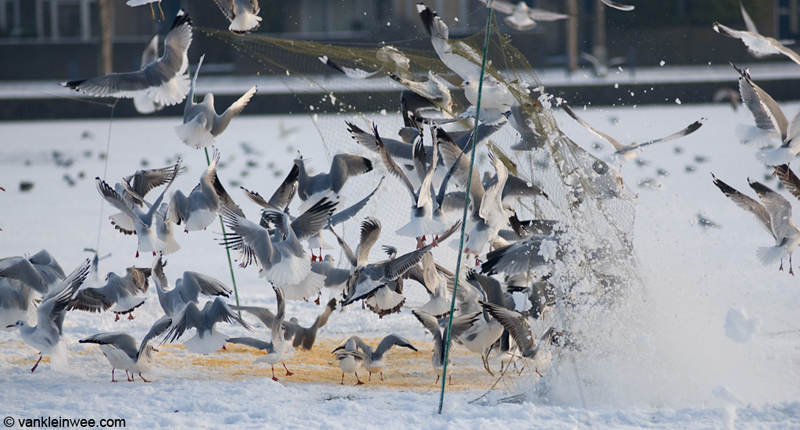 Immediately after the onset of thawing there where many recaptures from Germany of Gulls which were in The Netherlands in December. 1000e Common gull for winter 2009/2010. 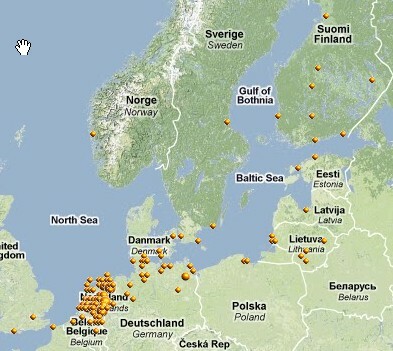 See here for a unique map of all ring recoveries from by me, in the winter ringed Common gulls. See each month on the map. EA01-EA99, EC01-EC99, EE01-EE99, EH01-EH99, EJ01-EJ99, EN01-ENJ99, etc. Zoetermeer - Dec 14th 2007. Larus canus Heinei en Larus canus Canus. Zoetermeer - Dec 14th 2007.